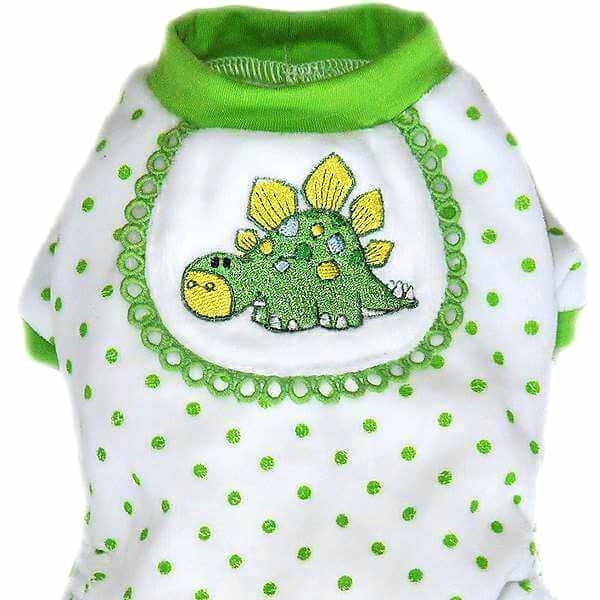 Soft, cozy pajamas for pets with green polka dots and trim featuring an attached bib and embroidered dinosaur. 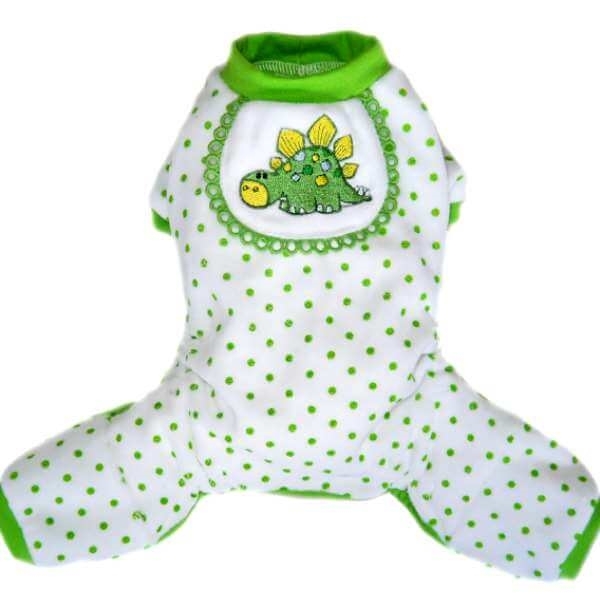 For small dogs, toy breed dogs and cats. Perfect for hairless pets. 80% cotton, 20% polyester. Machine wash.
Soft, cozy dog pajamas for small dogs with a cute embroidered dinosaur. NECK 6" 8" 9" 11" 12"
GIRTH 10" 12" 14" 16" 19"
LENGTH 7" 8" 9" 11" 13"